Most applicants for USA non immigrant visas have a hard time waiting for their visas to get processed. For some, it takes too long and they just cannot but get worried that there could be a problem with their visa application. The processing of United States visa in Nigeria varies from time to time and from different applications and is affected by individual specific conditions. Although, the website may state a number of days which appears to be short and bearable (this is usually put between two to three days excluding appointment and other waiting times), you must bear in mind that this duration is usually longer and unstable. 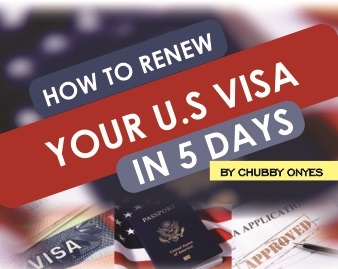 In fact, The US embassy and consulate in Nigeria advises that most visa applications should be carried out at least three months prior to the applicant’s scheduled travelling time. Two non immigrant visa applicants who applied for a say the tourist visa, at the same time may get their approval in extremely different number of days due to individual circumstances and requirements. While one may receive his in a few days or weeks, the other might have to wait months. We cannot categorically state a singular reason for this but we do know that several factors affect the visa processing duration of each visa application package. Factors that influence the period between when you apply and finally get your visa processed and delivered to you is not limited to the time it takes to process the visa alone. There are also a number of different waiting times such as the appointment scheduling waiting period, administrative processing period and so on. In this article, we will discuss all the factors you have to consider and bear in mind to estimate the time you might have to wait to obtain your U.S non-immigrant visa. These waiting times and durations are based on the average processing times calculated by the USA government through the USA embassy and consulates in Nigeria. There is a wide range of non immigrant visas available to Nigerians to travel into the United States. This includes the tourist visa, student’s visa or study permit, business visa, fiancé(e) visa, work visas as well as exchange visas. Each of this has its own specified procedures for obtaining it and also visa processing periods although on the average, they take almost the same time to process. Note: The visa processing and other waiting times stated below are exclusive to USA non immigrant visas applied for in Nigeria only. Appointment Wait Times: this is the period it takes to schedule an appointment for an interview after submitting your visa application. Even though the US Embassy and Consulate in Nigeria take care to process non immigrant visa applications and schedule appointments as early as they can and reduce waiting period of applicants, it is also important that the applicants book and schedule their appointments early as well. This way an applicant is more likely to get an approved interview date and time within the shortest period. Visitor Visa: waiting period for visitor visa in the US embassy or consulate located in Lagos is currently put at 135 working days which is almost five months. Student Visa and Exchange Visitor Visa: the waiting period for student and exchange visa is currently 42 calendar days. Other non immigrant visas: these are estimated to take at least 3 calendar days. Visitor Visa: waiting period for visitor visa in the US embassy or consulate located in Abuja is currently put at 126 calendar days. Student Visa and Exchange Visitor Visa: the waiting period for student and exchange visa is currently 11 calendar days. Other non immigrant visas: these are estimated to take at least 126 calendar days. It is important to schedule your interview appointment earlier in other to get a date and time within the shortest period. However, in a situation where an applicant has an emergency or requires that the interview appointment be scheduled earlier, then such applicant should visit the website of the US embassy or consular to request for an earlier interview time. Calendar days as specified here include both weekdays and weekends. Visa processing time: the visa processing time is the period it takes the embassy or consular to process your visa application and determine if you will be granted a visa or not. The US non immigrant visa processing times usually take between two to three days under normal conditions, however due to specific circumstances that may surround individual applications; the duration tends to vary from one application to the other. Some applicants may be required to provide additional documents or given extra requirements to meet. These conditions usually lengthen the visa application process. Administrative Processing Times: this is another waiting period that has to be considered when applying for a non immigrant visa to the United States from Nigeria. This period is different from the interview appointment period or the visa processing period and does not apply to all visa applications except in special circumstances. The least administrative processing time is about two months (60 days). The period could be longer depending on the situation of the application. Further administrative processing usually comes up after the interview at the US embassy or consulate and any applicant involved is usually informed of the need for this processing. As usual, the remedy to make this a little shorter is to make your visa application early. Applicants are also allowed to make inquiries about their administrative processing after two months of being notified of the process. Processing times are provided to inform you about the time it takes the US embassy or consulate to process your applications. This means that the visa processing time does not include the period it will take to return the applicants passport either via mail or courier service. The visa processing duration provided by the US embassy or consulate varies depending on how many applications they receive at a particular period, therefore if your visa package falls into a time where there are not so many applications, then the processing time might be shorter and vice versa. The duration of visa processing calculated by the US embassy is done frequently and is based on the average time it takes for them to process visas at each period. The availability and efficiency of resources at the US embassy or consulate can also affect the visa processing time. If the staff is sloppy or some machines are faulty, then your visa processing might be delayed. Mail service operations availability and efficiency: the faster the mail service is, the less the period it takes for your passport to get back to you. It is usually advisable to include an additional 10 days for transit purposes. Another factor that affects the visa processing time is your own speed of response as an applicant to requests for documents or information from the US embassy or consulate. If you do not respond to requests promptly, your visa application is most likely to be delayed. Also, be careful not to compare the time it takes for another applicant to receive his visa package to yours. Visa application packages are processed on a ‘first come first serve’ basis that is in the order in which they are received at the US embassy or consulate (the order in which you submitted your visa application and all other supporting documents required). The processing time stated for all the other non immigrant Visa for appointment waiting [period does not include some visa classes such as the Fiancé or Fiancée Visa type (K visa class) and the visa for spouses and children of United States permanent residents (V visa type) applications. These classes of non immigrant visas are processed under the similar conditions as the immigrant visas which are processed similar to immigrant visas. Also, the visa renewals in the United States or visa applications for employees of a designated international organisation such as the A, G, and NATO applications are not covered in the wait times stated above. These are usually processed specially and under different conditions. In order to fasten your processing time, you may apply before peak period (summer time) when there is usually less number of applications. Finally, to determine the current processing time for a particular application at any point in time, please check the United States embassy or consular website by clicking this link.